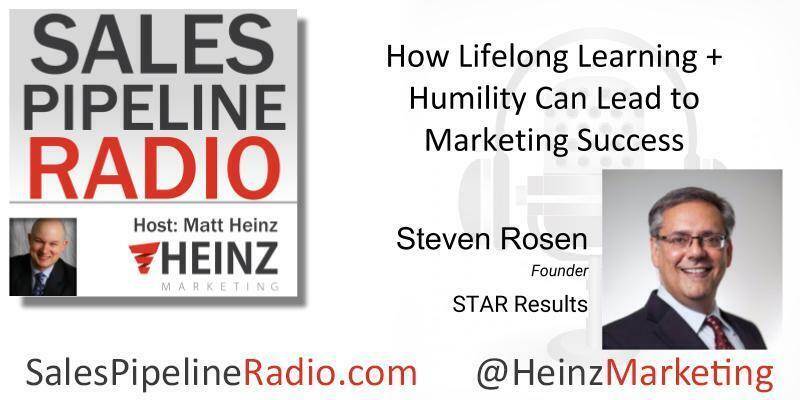 Listen in on this special, on-demand episode when I talk with Steven Rosen, executive coach, author, speaker, and founder of Star Results. Have you had or soon will have your 2019 sales kick off? Either way, Steven shares his best tips for a successful sales year. Steven shares a ton of wisdom and practical tips in this short 17 minute show. He'll touch on, how in sales execution, we often try to do too much and the importance of identifying and focusing on 2-3 key things to prevent losing focus. You'll love Steven's point of view about self discipline, learn why he believes "Sales is a discipline" and A LOT MORE!